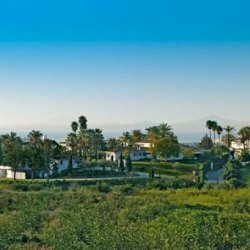 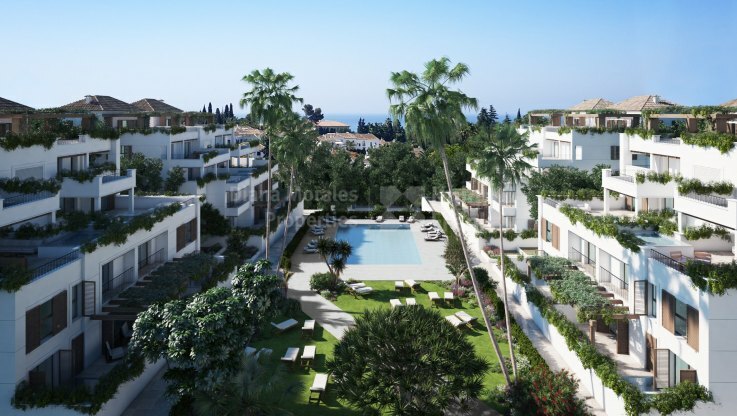 Please, send me more information about ref DMD1269-15 in Las Lomas del Marbella Club, Marbella Golden Mile or similar properties. 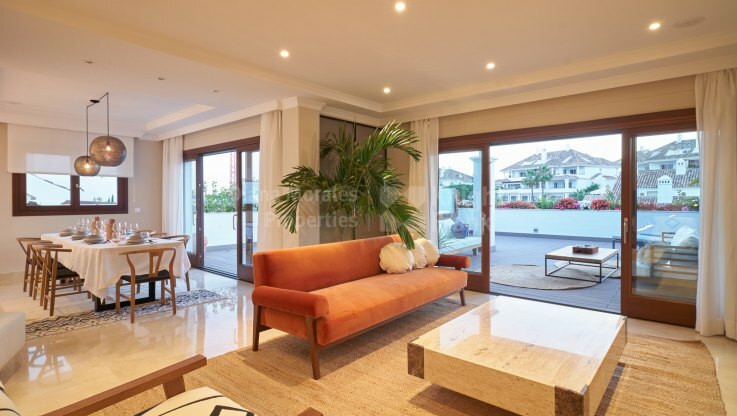 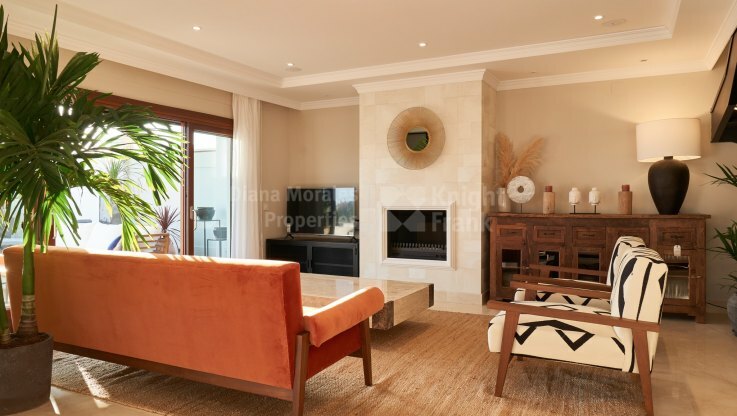 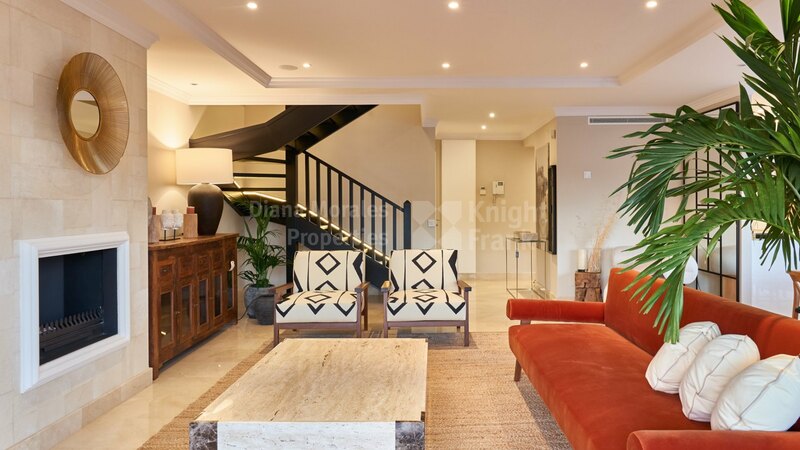 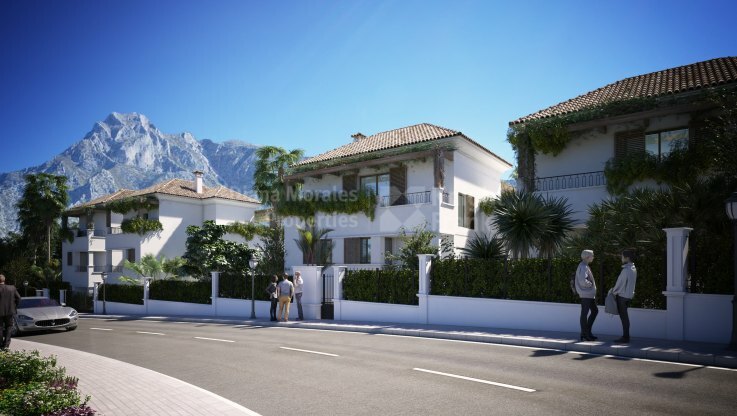 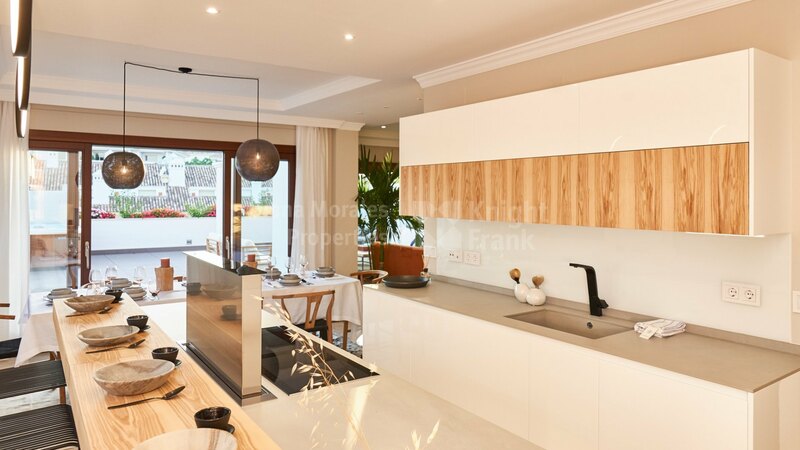 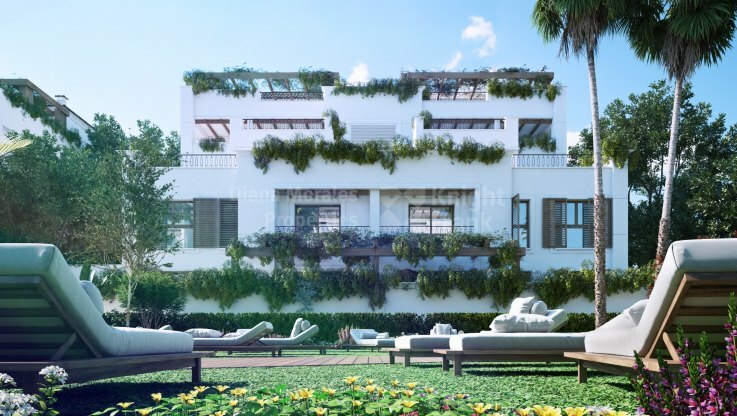 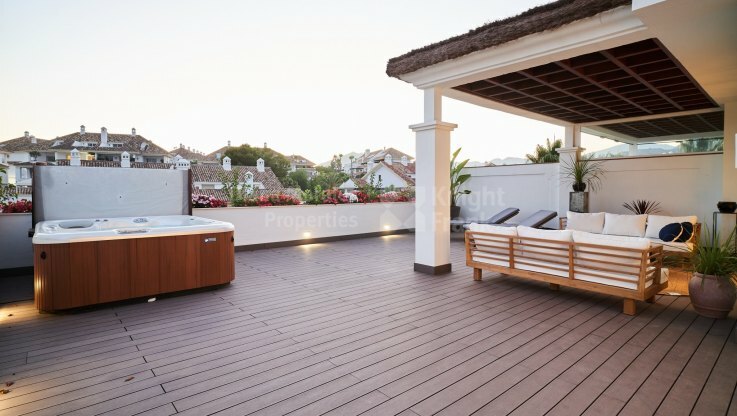 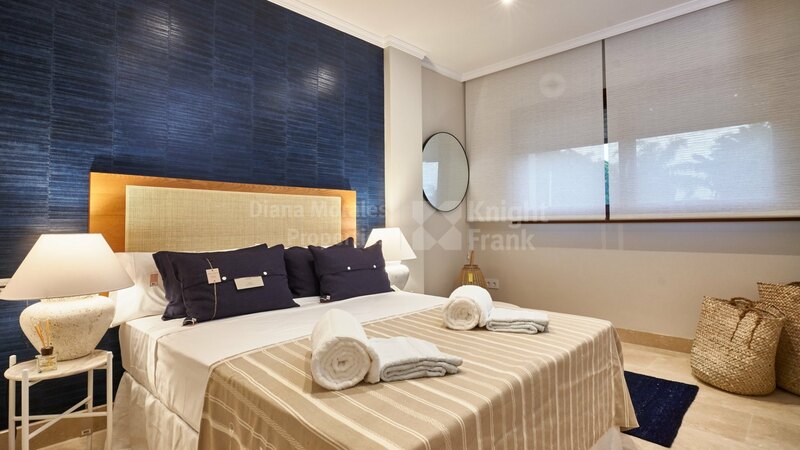 Located in one of the best areas of Marbella, about 1 km from the prestigious Puente Romano Hotel and halfway between the busy old town and Puerto Banús. 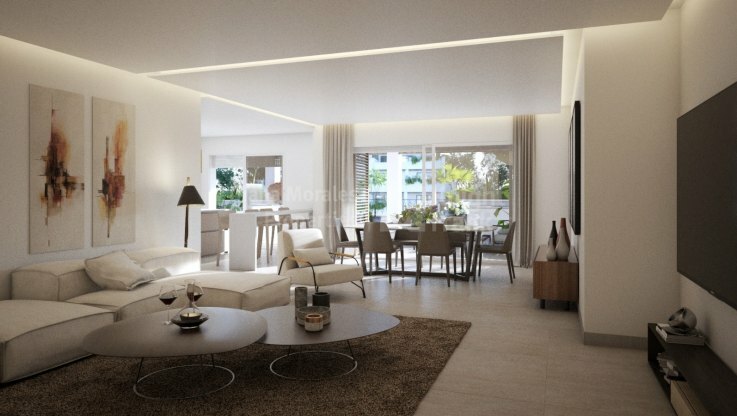 Quiet area where you enjoy the whole year of a privileged and safe environment with services at your fingertips. 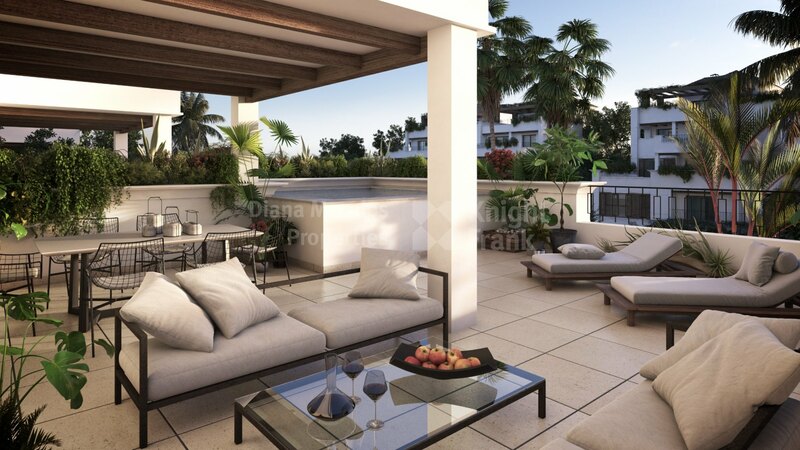 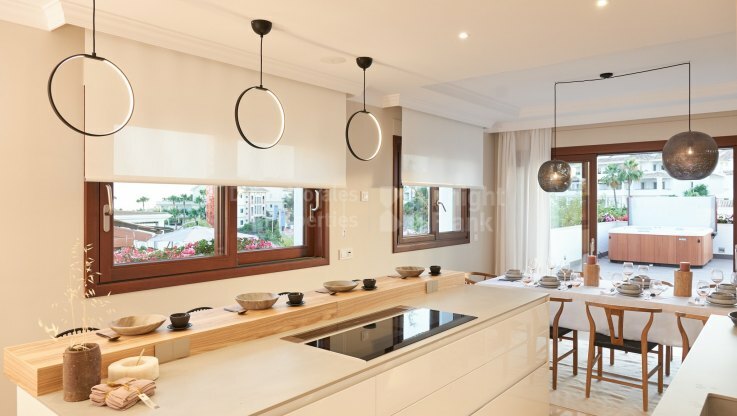 Fully furnished and decorated 3 bedroom apartment in two levels recently completed/new, in a luxury urbanization, with large terraces, garages and a green area with wonderful gardens, swimming pools, playground and security systems. 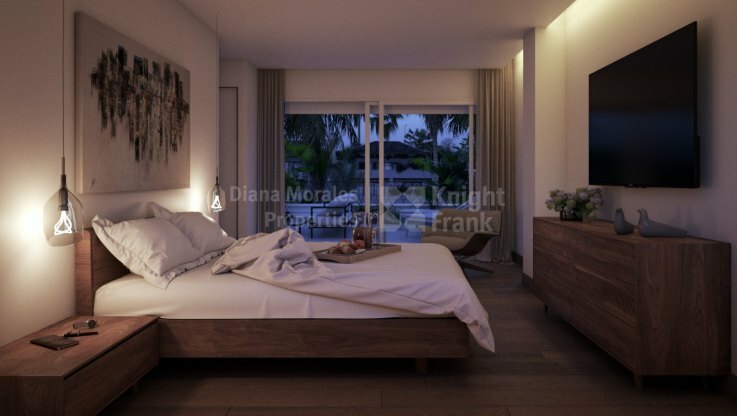 The lower level has a bedroom and a bathroom, plus a toilet and a kitchen open to the bright living room with access to the splendid terrace of more than 100 sq m with different areas and jacuzzi. 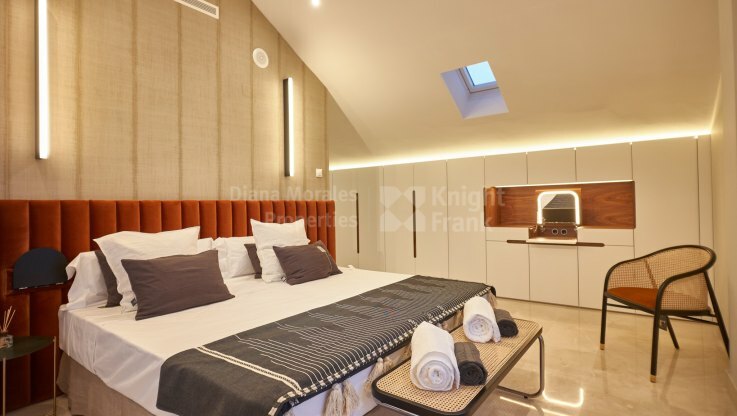 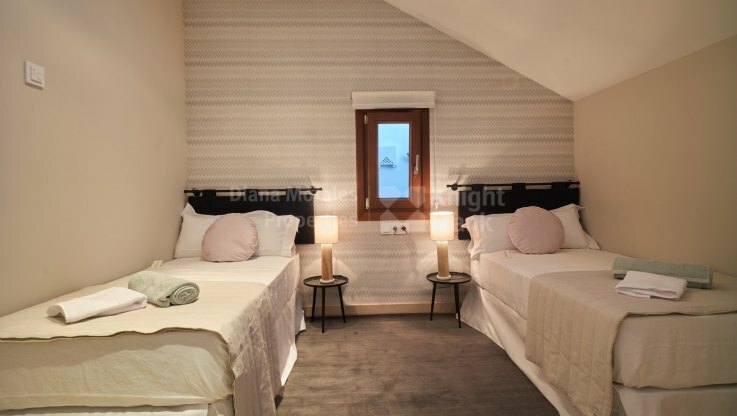 On the upper floor there are two bedrooms en suite, in addition to the beautiful master bedroom en suite in the attic area with a large dressing room. 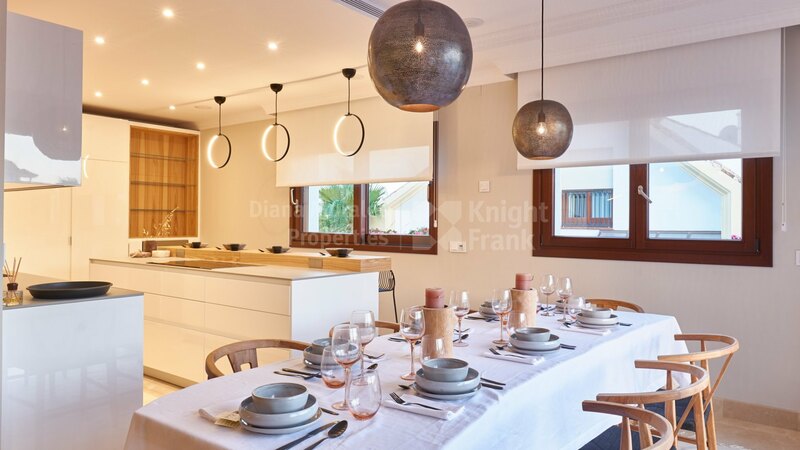 The finishes are excellent, marble and wooden floors on the terraces, fully equipped and furnished kitchen, air conditioning cold heat, underfloor heating, interior carpentry in Iroko wood, electric shutters, piped music, two parking spaces and a storage room.